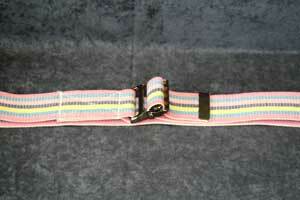 The Roll Belt is JCAHO & CMS inspired conformining to "least restrictive mandates". Patient can roll from side to side as well as prevent bed falls. 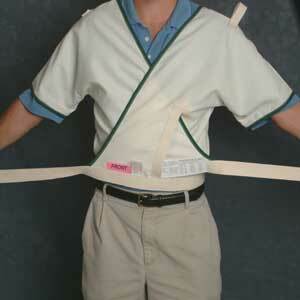 Long straps attach well out of patient's reach. Lined with comfortable flannel material. Helps reduce the need to use vests. The Torso Belt wraps around the patient and the back of the wheelchair or Geri-chair to help keep the patient from sliding forward and to help keep the patient upright while in the chair. May be positioned in front of patient, allowing for "self-release" or in back of chair for an assisted release. Made of thick foam for comfort and quality. 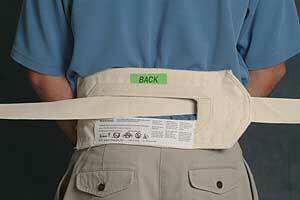 Helps prevent back injuries to the caregiver as well as assist with the safe transport of patient. 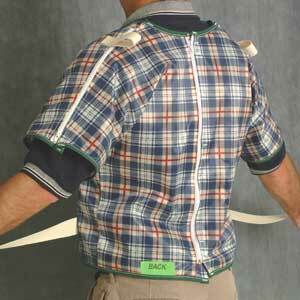 Our Zipper Back Vest offers the patient the comfort of wearing clothing, rather than a restraint. 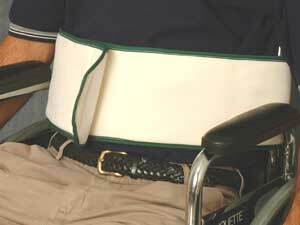 Offset zipper in the back, gives the patient comfort and security in bed or wheelchair. Long straps attach well out of the patient's reach to moveable part of bed frame or to wheelchair kickspurs. Zippers are located on the sleeves, allowing for full chest access. 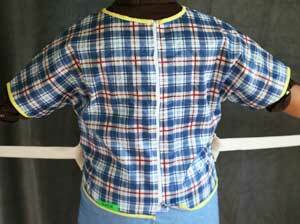 Zipper in the back is offset to prevent pressure on the spine. Long straps attach well out of the patient's reach. Can be used in bed and wheelchair. In bed, the vest allows the patient to sit up. Our Criss-Cross Vest offers comfort and security for patients who need a gentle reminder in bed, wheelchair, or Geri-chair. This vest criss-crosses in front of patient for comfrot.